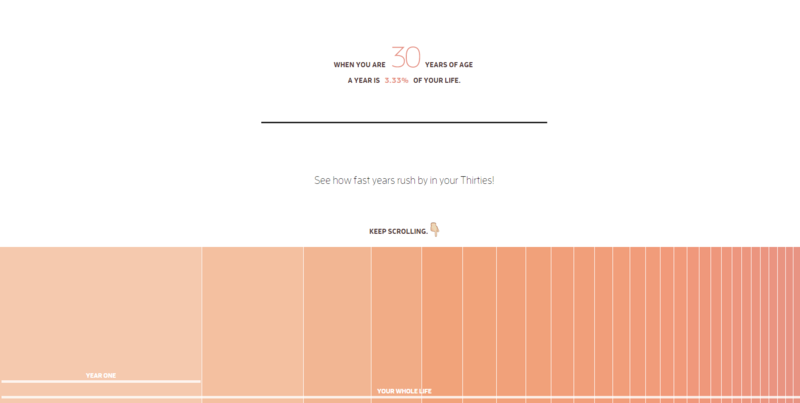 If you’re over the age of 30, you’ll have no doubt uttered the words “time flies” or “I remember that like it was yesterday” at least once in the past year. And there’s nothing wrong with that. In fact, there’s a perfectly good reason for it. In the late 19th century, French philosopher Paul Janet, put forward his ‘Proportional Theory’. 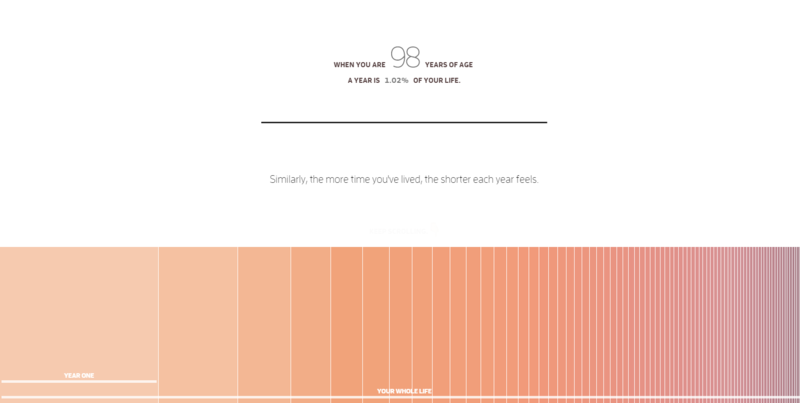 It suggests that as we get older, each period of time is a smaller fraction of the whole lifetime, and this affects how we perceive each moment. 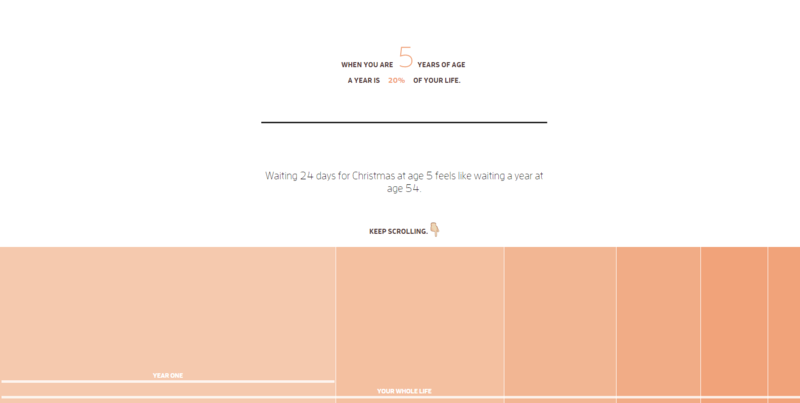 Designer Maximilian Kiener’s new interactive piece, Why Time Flies illustrates Janet’s theory beautifully, and reminds us that life is short so we should endeavour to do those things we’ve been putting off as soon as possible!